Danfoss KP15 Auto (left low pressure) / Manual (Right high pressure). Product type KP15. Reset function, left side Auto. Reset function, right side Manual Max. Pressure connection type Flare. Differential right side [bar] 4 bar. Honeywell 76577-6. Pressure Switch. components and parts for over 40 years! (En Español). High Quality snap action switch. Circuit Form=SPDT. Set Point Direction=Falling. Factory Preset. 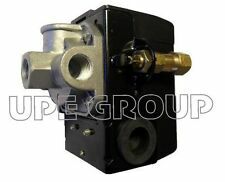 Compressor Pressure Switch 1/4 FPT Four Port - Push Pull Swicth - LF10-L4H. Porter Cable. 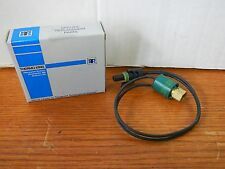 Interstate Pneumatics LF10-L4H Compressor Pressure Switch. If an identical item is unavailable, we reserve the right to substitute an item of equal or greater value at our discretion. Manual reset button that can be switched to auto reset. No Drift Pressure Setting. 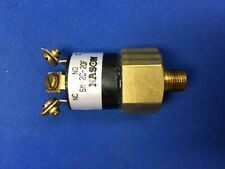 Pressure Switch for Air Compressor 95-125 SINGLE PORT. MAGNETIC STARTER FEATURES Protects your Pressure Switch and Electric Parts. Pressure Range: 0-10KG/CM2. Connection: G1/2(Standard),it also can be customized. Overload Capacity: 220V,10A; Pump(≤1.5KW) can be started directly. APC works with 110 or 220V. -up to 1.5HP with 220V. • Starting the pump with minimum difference in water pressure (opening of a tap), thus avoiding continuous. • Automatic stopping of the pump after using the water (closing of tap). Limited adjustable deadband (adjustable set and reset points over a defined limited deadband) pressure and temperature switch operation. Adjustable deadband (independent adjustable set and reset points) pressure switch operation. 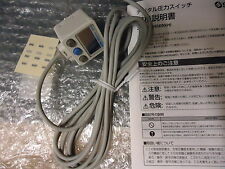 Carel SPKT00B6R0 Ratiometric Pressure Transducer 0-55VDC 15-667PSIA Female Condition is New sealed. Shipped with USPS Priority Mail. Actuator Type: Diaphragm. Pressure Connection: 1/4" NPT Female. Diaphragm: Nitrile (Buna-N). 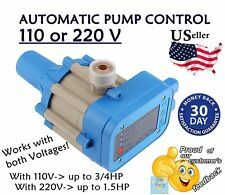 1.5 HP @ 110 VAC - 120 VAC (1-Phase). 2 HP @ 220 VAC - 240 VAC (1-Phase). 3 HP @ 220 VAC - 240 VAC (3-Phase). 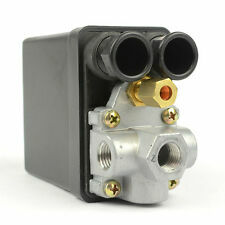 For Sale: (1) Square D, Pumptrol, Schneider Electric Pressure Switch. What you see in the pictures is what you will receive. We will answer to the best of our ability. CATALOG NUMBER: B420B. FOR SALE IS A PRESSURE TRANSMITTER SWITCH! DEADBAND: 15-60. NEW IN BOX. View all photos. Inventory #. Manual reset button that can be switched to auto reset. No Drift Pressure Setting. Inlet connection thread: NPT 1/4". Pressure Switch for Air Compressor 95-125 FOUR PORT. MAGNETIC STARTER FEATURES. No other accessories included. Receive only what is pictured/listed. Manual reset button that can be switched to auto reset. No Drift Pressure Setting. Inlet connection thread: NPT 1/4". 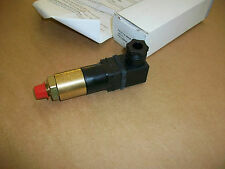 Pressure Switch for Air Compressor 135-175 FOUR PORT. MAGNETIC STARTER FEATURES. 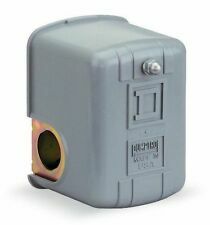 Square D 9013FHG22J27 Pressure switch. new in box with instruction sheet. What you see is what you get. Connection mode: External thread. Work form: pressure adjustable type Install. Use pressure range: 0.1-1.0Mpa. Maximum power: 24VA, 100VA. Note: Light shooting and different displays may cause the color of the item in the picture a little different from the real thing. Alternate Model #: 71J34. Mfg: HONEYWELL. 2015 Federal Regional Standards for Heating and Cooling Products. Most problems can be worked out if we just communicate. IMPORTANT: IF YOUR ITEM IS A LARGE ITEM AND IS MARKED AS GOING FREIGHT. Location KK-72. If for any reason you feel it is not, you may call and request an RMA number. for resolution. 8 am to 5 pm.